What is iDEAL and how does it work? iDEAL is the most used payment method for Dutch consumers! It is a guaranteed online payment transfer from the IBAN of a consumer (payer) to the IBAN of the beneficiary payee (acceptor). Please watch our animated video on the right for more in depth detail. What are the characteristics of iDEAL? Suitable for direct online payments and for post payments using a link in: an email, WhatsApp, text message or by using an iDEAL QR code. How do I know if I need a license or certificate for iDEAL? In the document ‘General Notes Rules & Regulations (R&R) Online’ you can find information about the exact role of your company. For the roles of Issuer and Acquirer you can request a license agreement at Currence BV to be able to execute this role. For the role of CPSP you can request a certificate agreement at Currence BV to be able to execute this role. For the role of C2C-provider you can request an accreditation agreement at Currence BV to be able to execute this role. Click here for more information about requesting a license, certificate or accreditation. On the website of Currence BV you can find the rates that Currence charges to licensees and certificate holders. My company is a trading platform and we collect the money of the beneficiary. Can I use iDEAL to receive the iDEAL payments? If you actually receive the money on your IBAN, you have to be officially registered as a Payment Service Provider in the register of a European regulator (for example ‘De Nederlandsche Bank; DNB’). In this way you comply with European legislation (PSDII). Depending on the terms and conditons of your platform and the type of products or services that your platform offers, Currence BV will mark you as a CPSP or C2C provider. First of all, you have to be certified for the role of CPSP or accredited for the role of C2C provider by Currence BV before you can offer iDEAL als a payment method on your platform. My company collects money for charities. Can I use iDEAL to receive donations? In the Netherlands there are many charities. Many parties offer online platforms to collect the donations. Are you collecting money on behalf of a charity and are you transferring the money to the charity organisation? 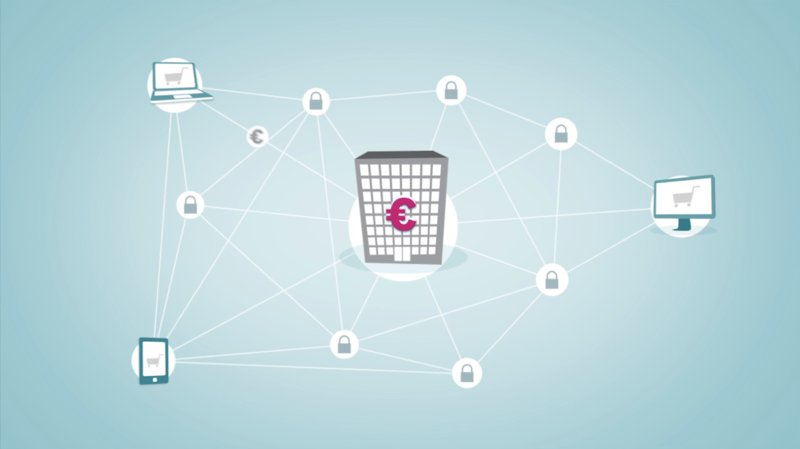 Then your platform has to be officially registered as a Payment Service Provider in the register of a European regulator (for example ‘De Nederlansche Bank; DNB’). In this way you comply with European legislation (PSDII). In this case, Currence BV will mark you as a CPSP. Therefore, your platform has to be certified by Currence BV before you can offer iDEAL as a payment method on your platform. How much time does it take to get a license, certificate or accreditation? To get a license or certificate agreement, the requestor must go through a certification procedure. This procedure normally takes about six months, however this depends on the role and characteristics of the requestor. Together with Currence BV, the requestor determines a planning for the certication procedure. Based on experience of Currence BV, the speed of the process is mostly influenced by the requestor. It depends on the speed and completeness of the answers to the Control Self-Assessment (CSA) and the completeness of the required documents. To request accreditation the requestor must fill in a questionnaire. Also in this case, the requestor determines the speed of the procedure by ansering the questions fast and complete. An accreditation procedure normally takes about four weeks. My company is an eWallet Provider. Are we regarded as an acceptant or as a CPSP? An eWallet Provider is an Acquirer or CPSP if it disburses iDEAL payments to companies. During these iDEAL transactions the eWallet Provider does not show the loading of the wallet to the customer (paying consumer). In this proces, the payer only sees a regular iDEAL payment. The payer is not authorizing the second transaction, because this is automatically executed by the eWallet Provider. In this case, the payer only has a purchase agreement with the company where he ordered a product or service. For this purchase there is no relationship with the eWallet provider. The eWallet Provider is an acceptant if an eWallet Provider only uses iDEAL for loading the wallet and the payer uses the wallet to make purchases. My company offers a platform for ticket sales. Can I offer iDEAL as a payment method? In the Netherlands there are many ticket platforms. Are you selling tickets on behalf of another company, are you collecting the money and are you transferring the money to the concerning companies? Then your platform has to be officially registered as a Payment Service Provider in the register of a European regulator (for example ‘De Nederlansche Bank; DNB’). In this way you comply with European legislation (PSDII). Which parties have a license, certificate or accreditation agreement for iDEAL? Click here for the list of C2C-providers. Do you still have no answer to your question?